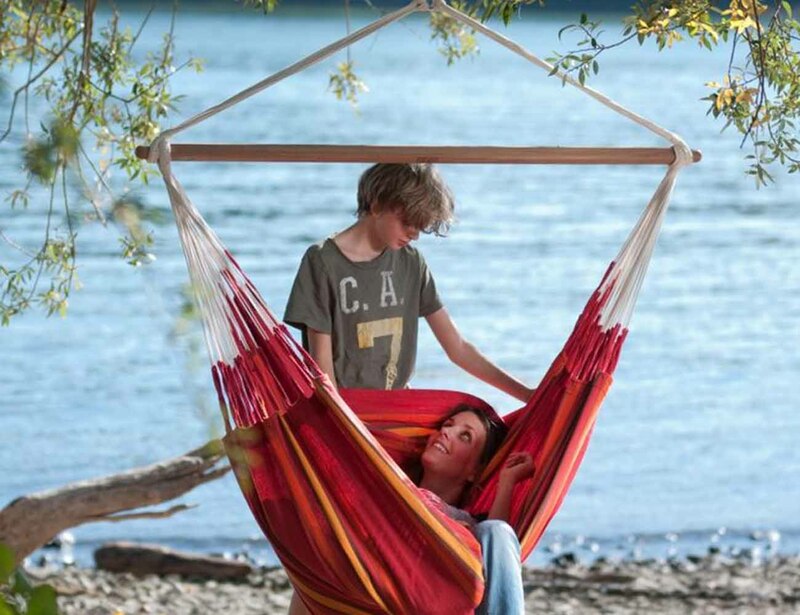 Start and end your day with a relaxing swing in the Orquidea Hammock Chair. 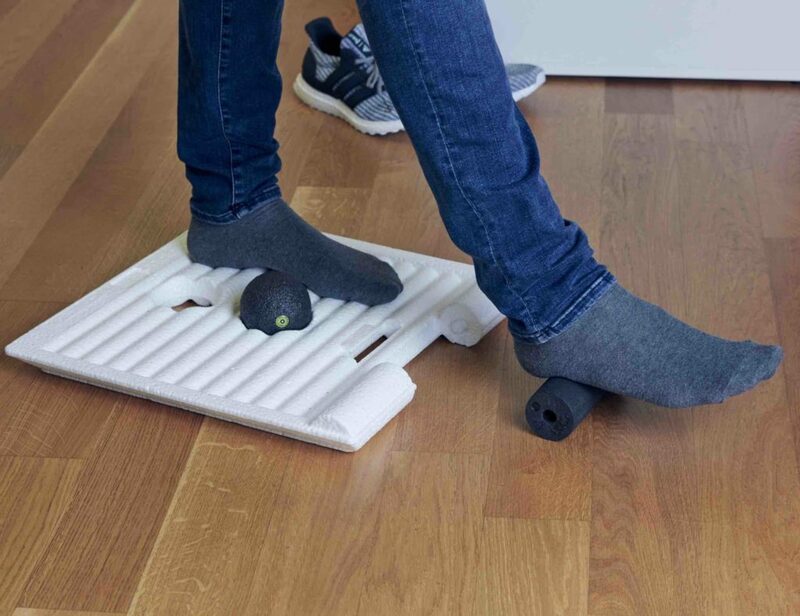 Made in Colombia, a country where hammocks are a part of everyday life, this hammock is made of high quality cotton for a comfortable seat any time of day. 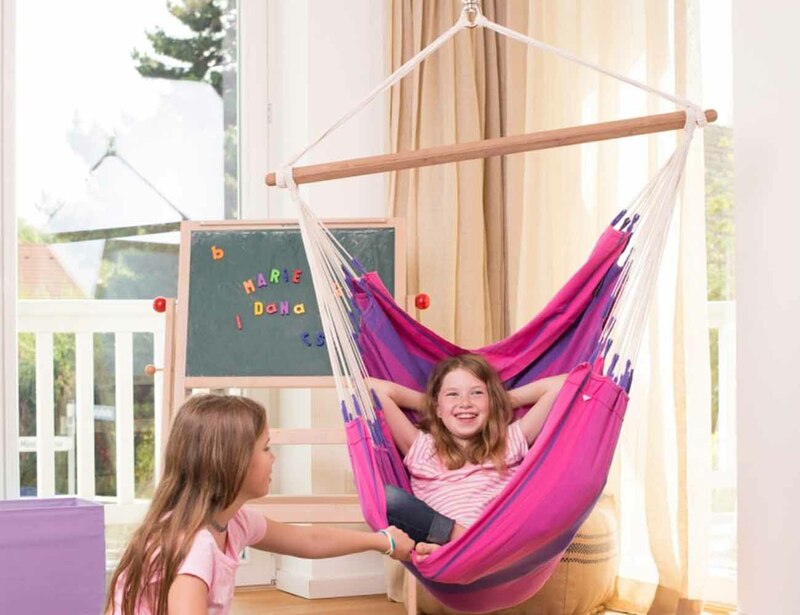 At the top of the Orquidea Hammock Chair is an ultra durable bamboo spreader bar to keep the chair open for easy access. Simply attach the top latch to a secure place and enjoy a hammock whenever you want. 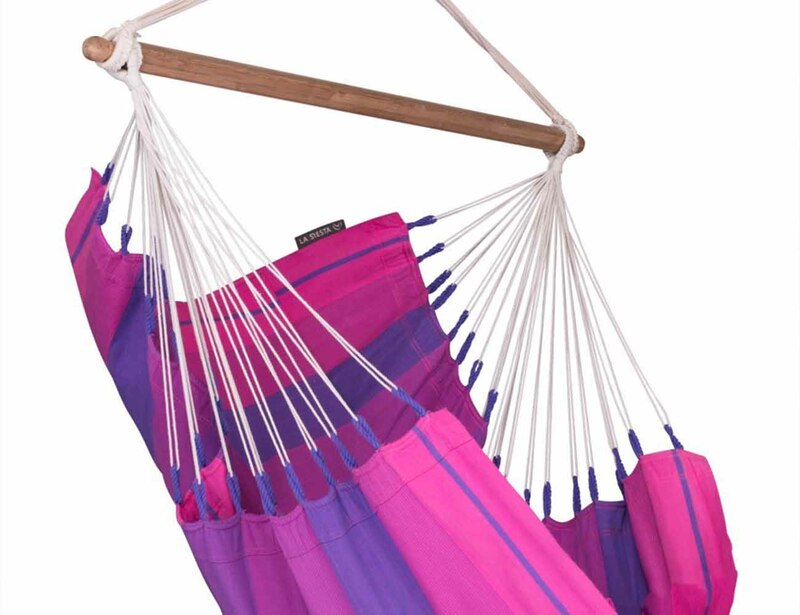 The Orquidea Hammock Chair comes in a delightfully bright purple and pink with intertwining shades of each color. The extra strong and sturdy suspension cords are also made of cloth and allow the weight of the user to be evenly distributed for the bamboo spreader bar. Sit back and relax for a while with the Orquidea Hammock Chair.